The Philadelphia Flower Show is a horticultural event that happens every year at the Philadelphia Convention Center. Many people from all over the world come to visit, and some even enter their own plants! It is a week long celebration for individuals who enjoy any type of flowers, plants, and landscaping. This year, our new team will be entering our plants that we will be growing. We have 14 weeks until the first day of the 2019 Philadelphia Flower Show. 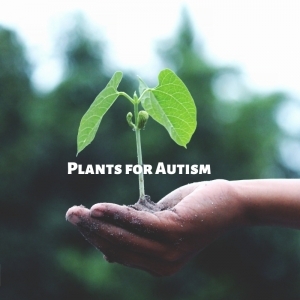 In this time our team will get 3 plants per person and learn how to properly care for each. We will need to use the internet for some of this process. We will create an user account for the Flower Show, and look up some proper care facts for our plants. We will also be responsible for making sure the plants get enough water and the correct sunlight. As a team we will support each other, give words of encouragement, and work together. By working as a team, we will earn the privilege of entering our plants into the show. Like most things in life there will be guidelines to follow for entering plants into the Philadelphia Flower Show. These guidelines will be discussed and reviewed many times before we go to the Flower Show. When we have any questions we will work as a team to resolve any issues. This is the greenhouse view from my desk. Today, our new group met for the first time. At our official meet and greet we discussed any and all issues pertaining to our projects and goals. We even came up with our team name! 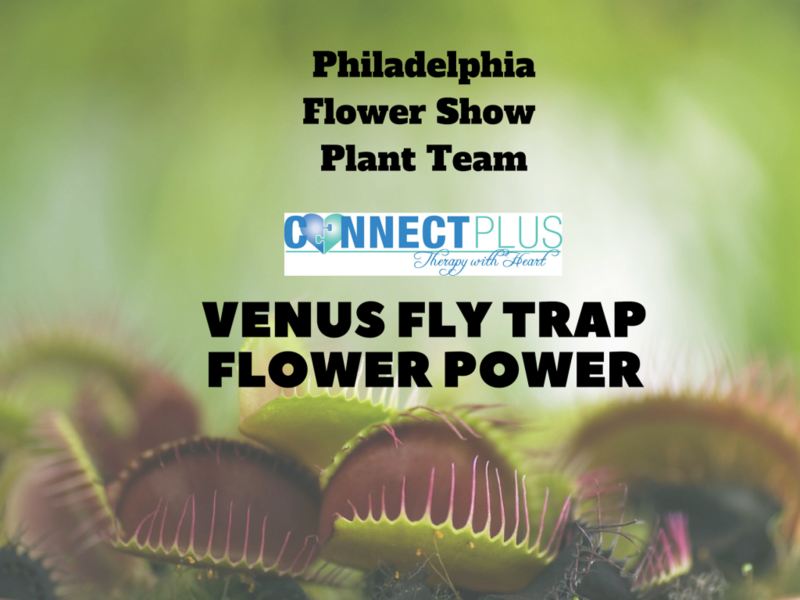 We are now known as “Connect Plus Venus Flytrap Flower Power.” We love this name and all the camaraderie it brings to the table. After our meet and greet, it was time to get right to work. We only have 14 weeks until the Flower Show and there are many tasks at hand. As a team, we started the research necessary for the 3 plants that we are growing. We found the proper sunlight needed, and watering schedules. We then set up shop and potted our plants. One of our participants made a fantastic plant recommendation for our group. Upon an unanimous vote we decided our team truly needed just one more plant. A Venus Flytrap naturally. Together we looked online for which will be the best purchase and it will be ordered this week. This week’s opening discussion was an overall review of our end goal; to enter our plants into the 2019 Philadelphia Flower Show and all that encompasses. Together we researched some images online to get a better picture of what to expect at the flower show. We noticed how grand the flower show is and how we will really need to work as a team to be successful. This ended up being another discussion about characteristics for positive teamwork. Each person in “Connect Plus Venus Flytrap Flower Power” named at least one positive attribute that will help our growing group. After our words of encouragement, we got back to work. We tended to our plants and did any necessary grooming. We also moved them to a big beautiful window with plenty of sunlight where they will stay until the Flower Show. We added heat lamps to give the plants a little boost during the next several weeks as they do require full sun. The chosen plants are as follows: Aloe Vera, Jade, Venus Flytrap, and Amaryllis. The Venus Flytrap will be set up next week and the Amaryllis in the near future. We also researched how to “root” a plant this week. We had an old Iresine plant laying around and demonstrated how to propagate it. We stuck our branch clippings in some water and will revisit them next week to see what happened! Week 3! We are moving right along. Today we checked in on our old iresine clippings and have noticed some very tiny roots starting to sprout. We will leave them in water for another week to see if there’s any new progress. Today we also started discussing our New Year’s Resolutions. Let me tell you; we have some good ones. 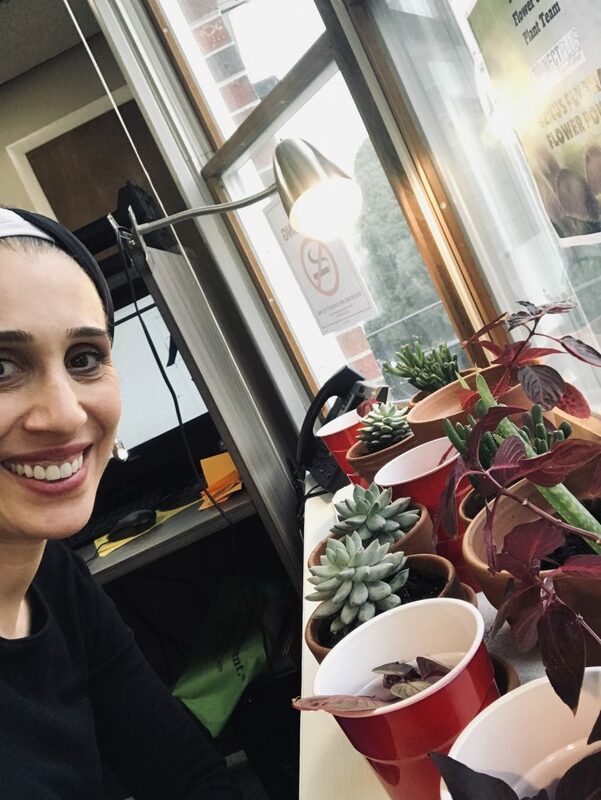 Our New Year’s Resolutions project will tie in our newly rooted iresines, our painted pots that we will create next week, and our individual resolutions for 2019. “New roots, new growth, new you,” is our motto for the next year. We also created our first database entries for the Philadelphia Flower Show! That’s right, as of today, we are officially entering at least 1 plant each. In the following weeks we will continue to add other plants as our team becomes more PHS data entry savvy. Today was yet another very successful meeting. We painted our flower pots for our New Year’s Resolution project and had a discussion again to remind us of our personal goals (resolutions) that we will set for ourselves in 2019! We also reviewed our team mission and how working together will help us achieve it. We also watered and groomed our plants and took a much needed break. Lastly, we signed into our individual accounts with the PHS and entered another plant into the Flower Show. With all of this effort, support, and togetherness our team has been demonstrating, I sure hope we walk away with a few awards. And if not, then it will just be another lesson in life that we don’t get what we want all the time; but it sure would be nice! I can’t “beleaf” it’s already week 8 of our 14 weeks with Connect Plus Venus Flytrap Flower Power. We have fantastic news! We have been in contact with a few fantastic people at the Philadelphia Horticultural Society, and they have really shown our team so much support. There are a couple of amazing possibilities coming up for our group, one of which includes a guest speaker from the PHS! This will be great. All of our social skills that we have been working on can truly come into play. We also planted our amaryllises tonight. Google says it should take in between 6-8 weeks to bloom so we choose 7 weeks prior to the show to get them going. Wish us luck, and cheers to another life lesson we are about to learn! Wahoo Week 5! And Happy almost New Year! Today was another great meeting. I’ve noticed as the weeks go by our team is feeling more and more comfortable with each other. We all have our strengths and weaknesses, and it takes understanding and compassion from each member to encourage others in our group to break away from our comfort zones and be a part of our discussions. I couldn’t be more impressed by how Connect Plus Venus Flytrap Flower Power Team is coming along. Our team is something truly special, a brand new piloting experience that we all get to share… I’d like to add… with very little “growing” pains. Our team finally completed our New Year’s Resolution project! We planted our newly rooted Iresines into our freshly painted pots, and glued our New Year’s Resolutions onto the pots. Our New Year’s Resolutions ranged from helping our mothers clean more, to creating better video editing tactics, to being more efficient at work. They really did turn out nice, and I hope that everyone remembers to water frequently! We also entered our 3rd plants into the PHS database and posed our first Flower Show inquiries via email. We’ll check back next week to see if we got any responses from the Philadelphia Horticultural Society. As usual to bring our meeting to a close, each participant checked on their plants and watered and groomed if necessary. We are off next week, but stay tuned and turnip your green thumbs for all the hard work our guys are doing! You dig it? Week 6- Happy New Year! We are soooo close to show time! But of course, there is still plenty of work to do. Tonight we filled out the flashcards required for the flower show for our first plant entries. Each member had to focus on their best handwriting possible and follow the very specific directions that the flower show gives its exhibitors. This took some time and some patience from our guys, but I’m so very proud of them because this task was daunting, but required so they had to complete it. We have 2 more plants to fill out flashcards for but we have it perfectly spaced throughout the remaining weeks so i’m sure the guys will be flower show flashcard pros by the time we are done! We also reviewed some of our ongoing discussions such as judging expectations, waiting in lines, handling large crowds, and wrote up a list of flower show rules. All this thyme and attention to our team plants I’m almost certain we can’t be beet! !